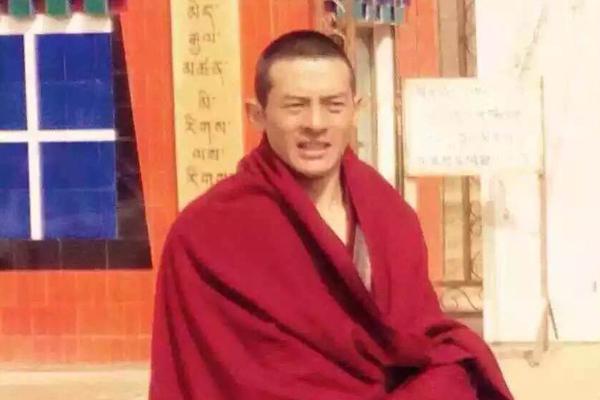 (TibetanReview.net, Apr23, 2015) – Chinese authorities had taken away on Apr 12 a Tibetan monk writer without stating any ground for his detention or where he was being taken, said several Tibet-related overseas online media reports Apr 21. They suggest, however, that Lomig, 27, a monk of Kirti Monastery in Ngaba (Chinese: Aba) County, Sichuan Province, appeared to have been detained for his essays which were critical of Chinese policies in Tibet. Lomig’s detention followed that of another well-known Tibetan writer Shokjang who was held on Mar 16. A resident of Gengya Town in Sangchu (Xiahe) County, Gansu province, Shokjang was held in Rebgong (Tongren) County of Malho (Huangnan) Prefecture, Qinghai Province, for what was believed to be his online writings critical of the tight security restrictions in the county ahead of the Mar 10 Tibetan uprising anniversary. Following Lomig’s detention and disappearance, some 20 Tibetan writers jointly authored an article on him. Its content suggested that Lomig might have been held for writing essays about the “suppression of freedom of expression, destruction of Tibetan environment, the 2008 Tibetan uprising, the self-immolation protests” and for participating in a panel discussion on issues affecting Tibetans, reported Radio Free Asia (Washington) Apr 21. A monk since the age of six, Lomig was initially a student at Kirti Monastery’s Young Buddhist School, which had more than 700 students. After the Chinese government forced it to shut down, he studied Buddhist philosophy and Tibetan literature at Draggo ( Luhuo), Rebgong (Tongren), Larung Gar Buddhist Institute at Serta (Seda) and branches of Kirti Monastery in different parts of Tibet.